Inverted papillomas sometimes show non-keratinizing squamous metaplasia within the center of the cords and trabeculae. In rare cases, there may be true glandular differentiation. 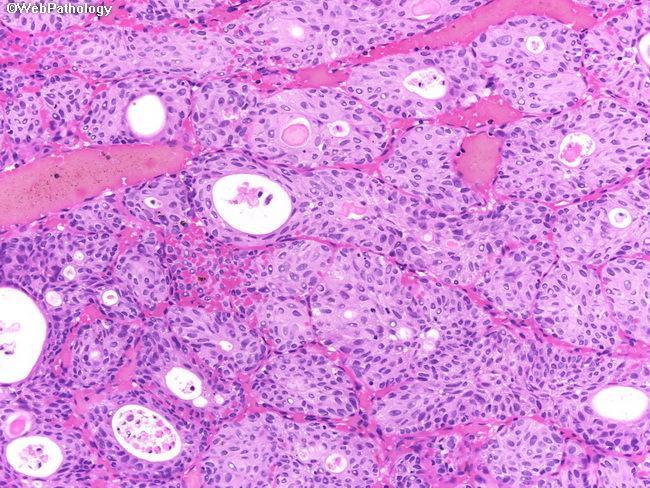 Some of the nests in this image have central lumens filled with cellular debris or eosinophilic material.